Is Google thinking of going all-in on hardware development? Just days after we heard rumours that Google is planning to manufacture its own mobile chips for Android devices, the same source is reporting that Google may jump into the phone market as well. New rumours reported by The Information suggest Google is thinking about joining the phone market – something it has never done directly. After all, why just build a chip when you have the incentives and pockets deep enough to build the whole phone? Such a move would be an interesting change of direction for the company – it sold Motorola to Lenovo last year, seemingly doing away with its phone hardware business. 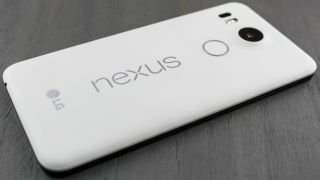 Currently the closest thing Google has to its own phones is the Nexus line. These handsets contain vanilla versions of Google's Android software, but the actual hardware is still manufactured by third parties – in the case of the Nexus 5X and Nexus 6P, LG and Huawei respectively. If Google does decide to go down the phone-making route it will have to be careful to manage its relationships with existing Android manufacturers such as Samsung. It could be a smart move for Google though, as it could mean that hardware and software teams could work more closely together to create devices that don't just make better use of the hardware, but also provide an Android experience that's exactly how Google intends it to be.